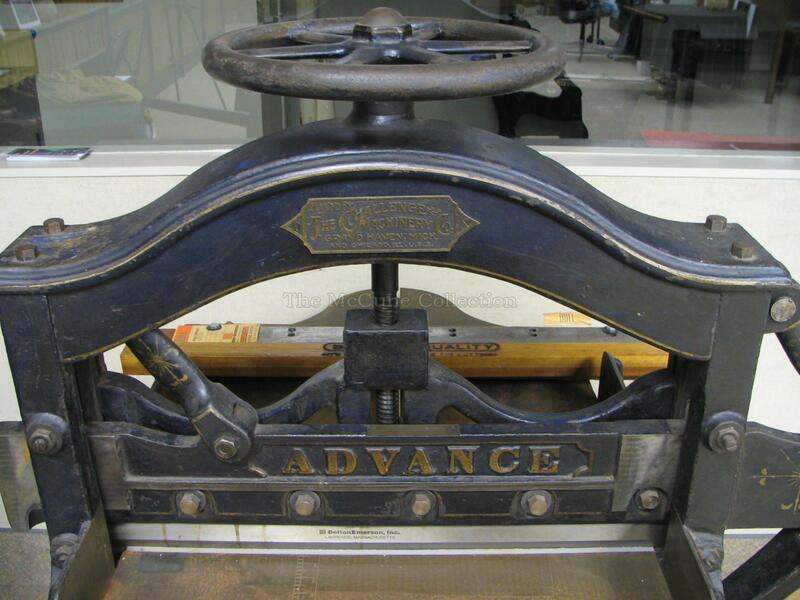 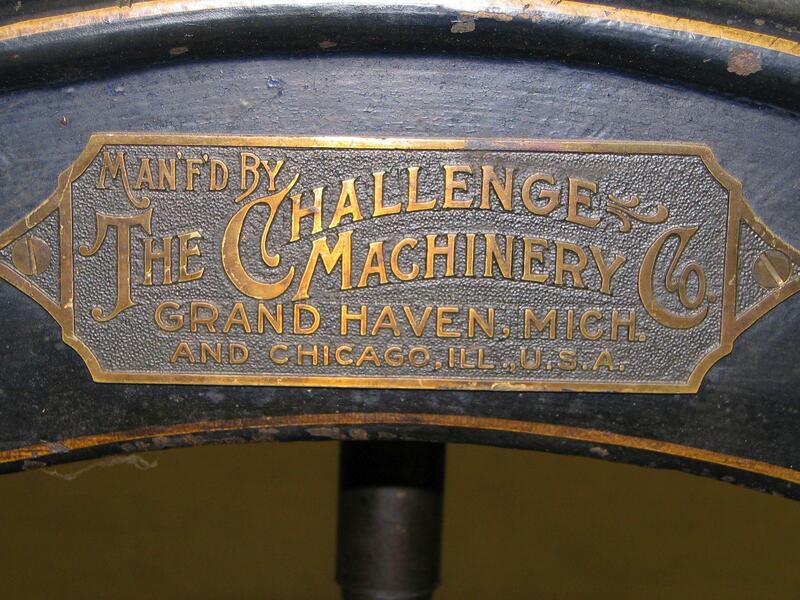 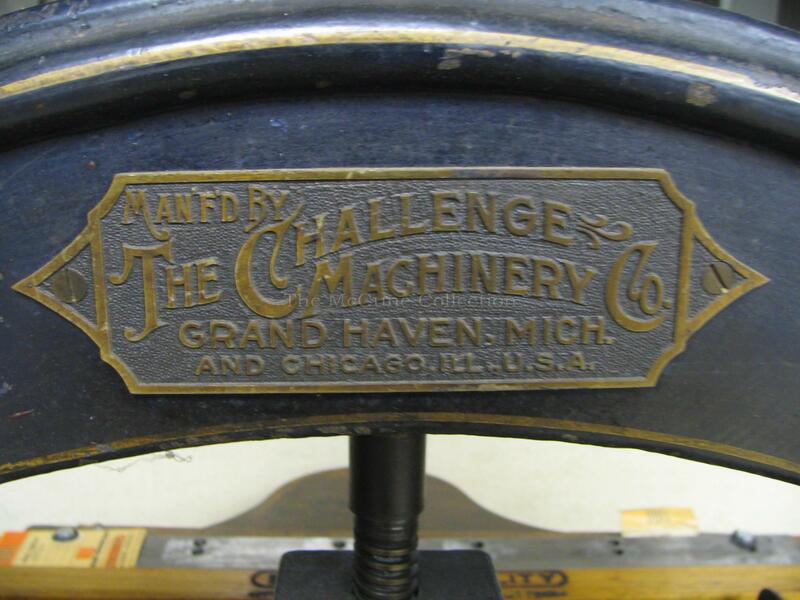 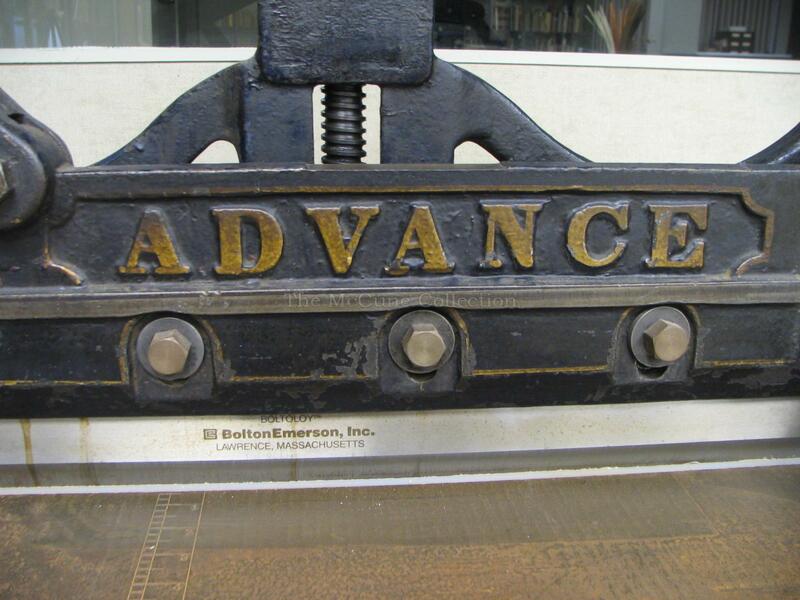 The Challenge Advance Guillotine Paper Cutter has a clamp handwheel at the top, a lever to put pressure on the blade and a counterweight to help bring the lever to its start position. 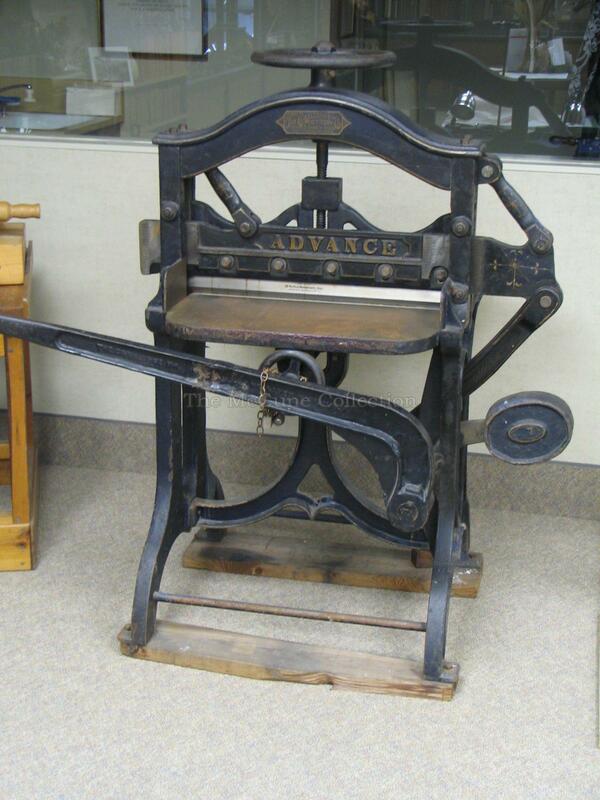 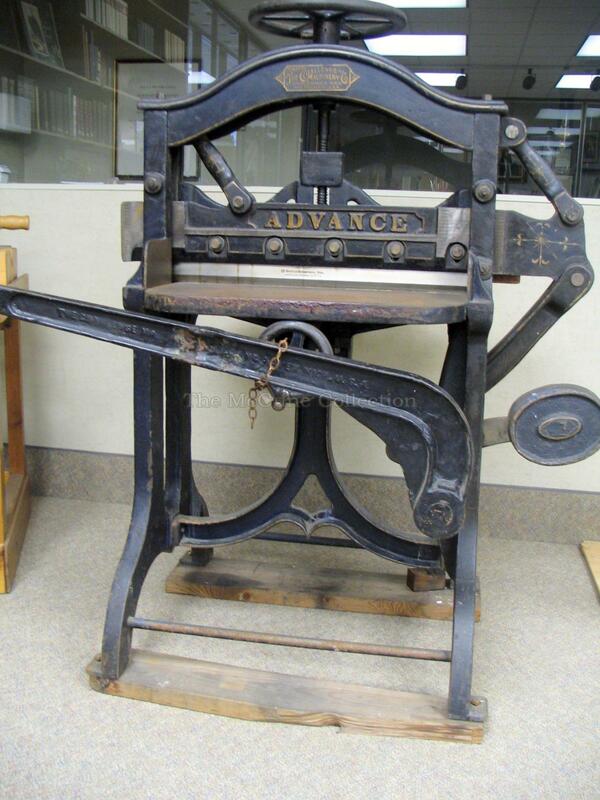 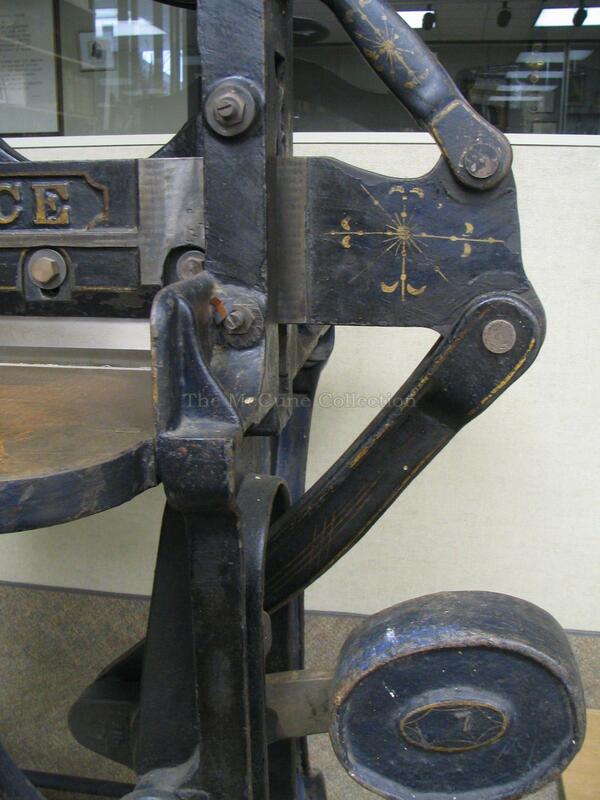 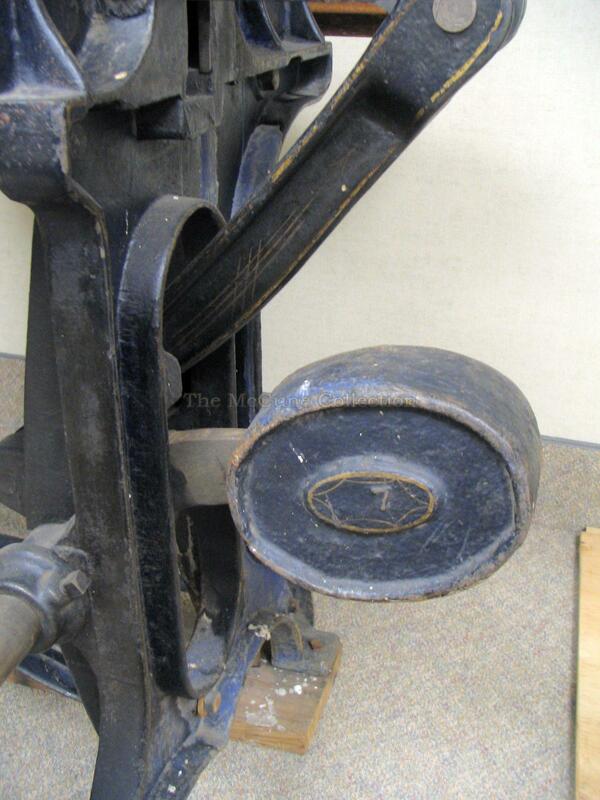 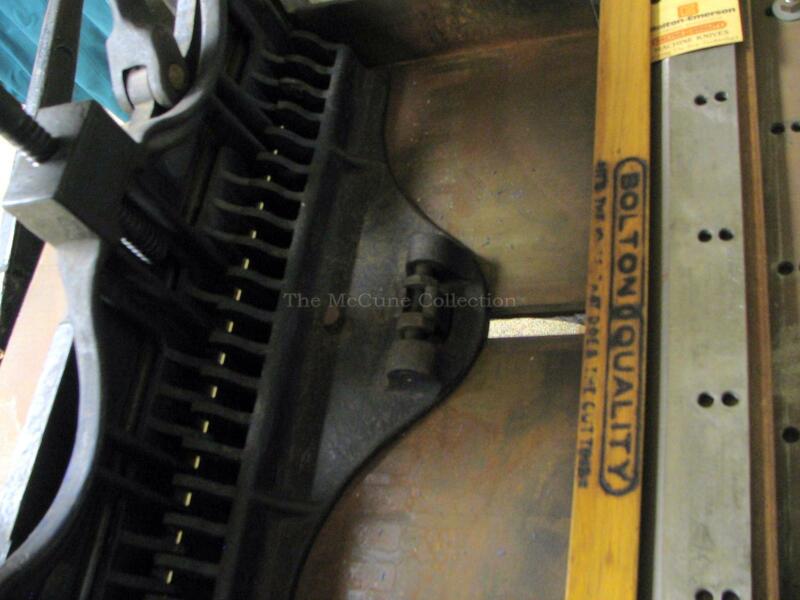 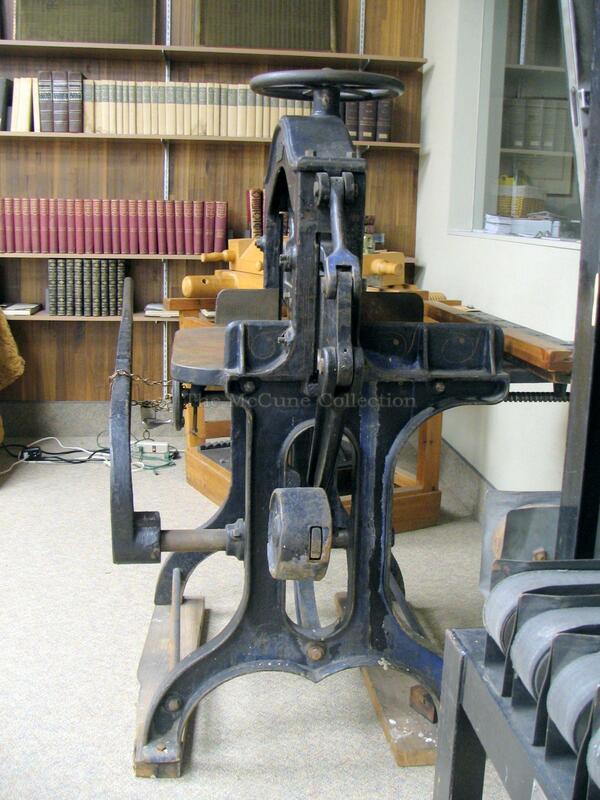 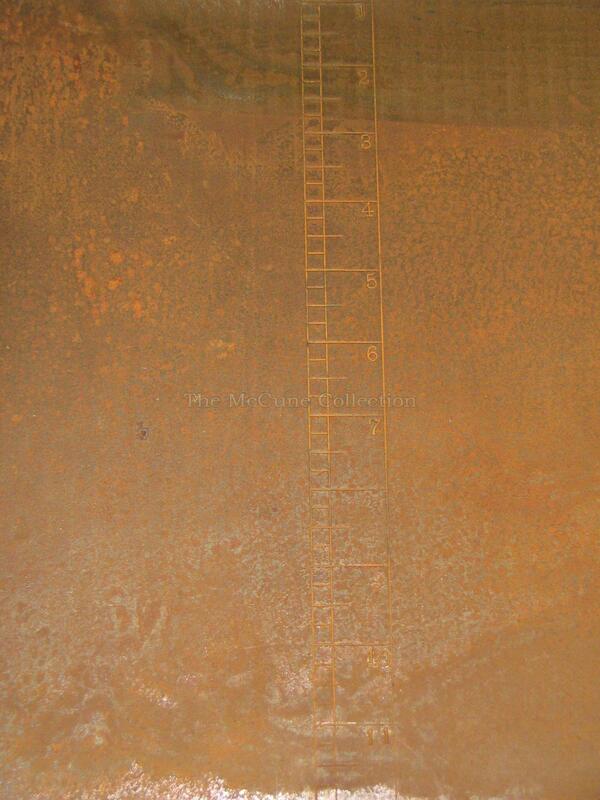 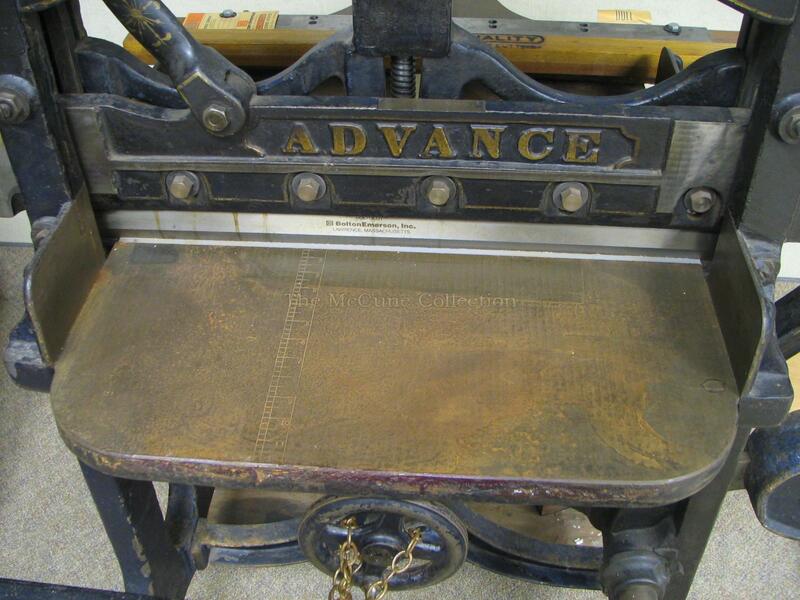 There is also a back gauge handwheel to move the bed of the paper cutter so that the proper size paper can be cut. 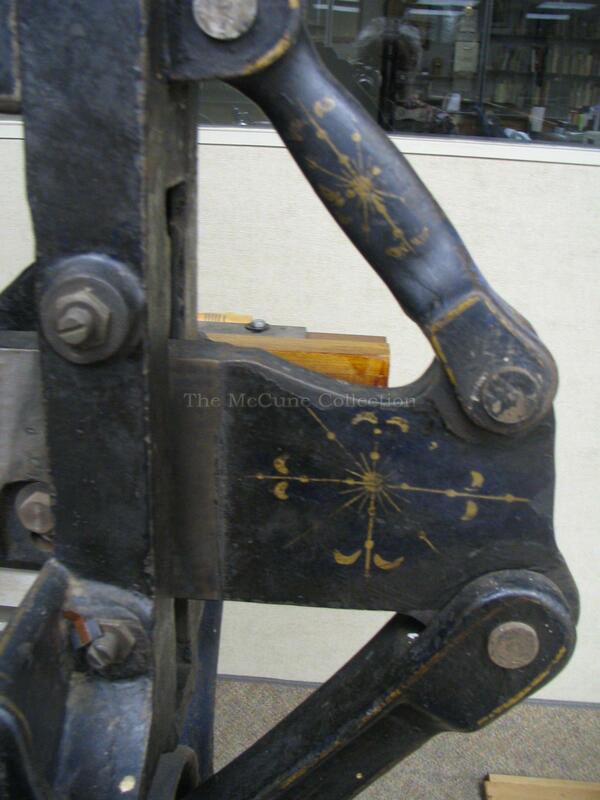 The clamp wheel is used to clamp the paper stock into place. 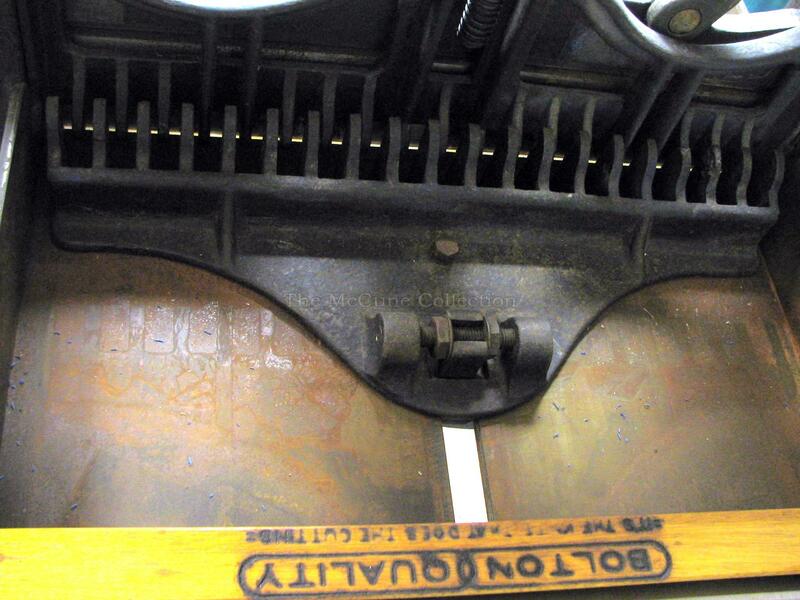 Usually a piece of cardboard is used to protect the paper from any clamp marks. 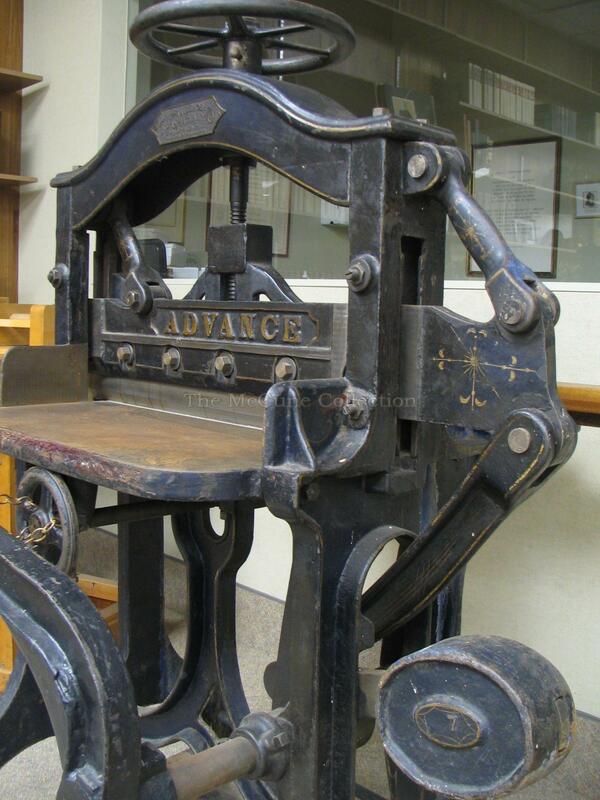 The paper is cut by the pressure of the lever.